The “civilized” West dispenses with massive crocodile tears as Ancient Silk Road pearl of the desert Palmyra falls to ISIS/ISIL/Daesh. Yet neither US President Barack Obama nor any of the 22 heavily weaponized nations/vassals theoretically part of his coalition of the willing sent at least a single Hellfire missile-equipped drone against the black-clad fake Caliphate goons. In parallel, the case has already been made that those who weaponize the beheaders and throat-slitters of Al-Nusra, aka al-Qaeda in Syria, or ISIS/ISIL/Daesh are essentially Saudis – the largest importers of weapons on the planet — who buy mostly from the US but also from France and the UK. And just as much as the original, CIA-funded proto al-Qaeda, established in the 1980s in Peshawar, ISIS/ISIL/Daesh, a.k.a. al-Qaeda 2.0, fulfills the same geopolitical purpose. For explanation, documentation, and Emperor’s New Clothes obvious proof of the most important War Crime, US Wars of Aggression, read here. The lawful response to obvious commission of ongoing War Crimes is to arrest the apparent criminal leaders. Notice that these hearings into war crimes occurred in Malaysia. Is there a connection to the loss of the Malaysian airliners? Perhaps yes. Issues from 2 years ago that cover war crimes investigations into the Bush regime conducted in Malaysia, Obama's drone terrorism and support for extremists in Syria, Depleted Uranium weapons, and the brief mention that the present US Administration replaced the Government in Yemen via covert war (to install their own puppet, that has recently been kicked out, and the Saudis are now bombing). The main issue here is that there is evidence enough to prosecute these people immediately. Terrorism: What Americans Don't Want To Hear - "The United States are the Aggressors"
The media has helped to keep the American people ignorant. In this presentation of the program, Books of Our Times, Dean Lawrence R. Velvel interviews American Historian Howard Zinn on his books: You Can't Be Neutral on a Moving Train - A personal History of Our Times, and Failure To Quit - Reflections of an Optimistic Historian. Excellent summary of world issues. In this episode of the Keiser Report, Max Keiser and Stacy Herbert discuss ‘vaporwealth’, which much like ‘vaporware’ is a product or a net worth, in this case, which is never manufactured, but is, instead, either stolen or magically created on the Fed’s balance sheet. In the second half, Max interviews Liam Halligan of BNE.eu about the economic situation in Europe and how Nicola Sturgeon is the new existential boogie man for the tabloids. Iraqi army forces backed by fighters from the Popular Mobilization units have engaged Islamic State militants in the country’s western province of Anbar, killing more than three dozen of them in the process. The leader of al-Nusra Front — the al Qaeda-affiliate group in Syria — insisted on Wednesday that he is under orders from the organization's central leadership not to attack Western interests in Syria, but rather focus on toppling President Bashar al-Assad. "The orders from Dr. Ayman al-Zawahiri are we should not attack the West from Syria" Abu Mohammad al-Golani said, speaking in a television interview with the Al Jazeera Arabic-language network. The United States Defense Secretary Ashton Carter warned China Wednesday to stop its buildup of man-made islands in the South China Sea. Kiev’s military forces are continuing to shell residential area of Donbass. 2. The Chinese are doing more than establishing a 'zone of influence' in the South China Sea, they are taking territory that clearly does not belong to them, in areas directly adjacent the Philippines and Vietnam (freeze the video and look at the map). Five civilians have been killed in shelling in eastern Ukraine, including an 11-year-old girl. However, US officials have said that they are not aware of Kiev violating the truce, despite numerous reports of army shelling. The US says that the Eastern regions of Ukraine were the 'instigators' of the violence, and yet we have complaints about the OSCE reports where they only describe the actions of the separatists who are, more often than not, responding to artillery and mortar attacks. After weeks of provocation, one of the Palestinian resistance groups launched a solitary rocket into Israeli territory. The attack injured no one. Israel responded by launching a series of attacks from American-made F-16 fighters on military and civilian targets in Gaza. The Israeli Defense Force has stated that it will hold Hamas responsible for the attacks, even though their intelligence, Israeli news, and our reports say that the Palestinian Islamic Jihad was behind the attack. The collective punishment is a clear violation of international law. Yesterday began with the news that yet another Palestinian child had been struck by an Israeli settler’s car during a hit and run incident. It was the third such “accident” in less than a month. That was followed by news that a Palestinian in the West Bank was beaten and shot by a group of men suspected of being Israel settlers. Tensions are already elevated because of the orders to construct new Israeli settlements in Palestinian territory and the continuing news of a hunger striker who is now in his 24th day of a diet of only salt and water. Then the news came out that the United States will be increasing its subsidy of the Israel military by $300 million, which will further arm the military that has only used its weapons against Palestinians in recent memory. Techdirt has been at the forefront of pointing out the dangers of including investor-state dispute settlement (ISDS) in so-called trade agreements. Indeed, we even helped come up with a new term -- corporate sovereignty -- to make clear that ISDS is really about placing corporations on the same level as entire nations, and giving them a unique power to sue a country for alleged harms before special tribunals. But there's an additional aspect to this, which is explored in an insightful article by Sam Fowles on The Conversation. He points out that although we don't know in detail what the US-EU TAFTA/TTIP agreement will contain, we do have the text for the one between Canada and the EU, the Comprehensive Economic and Trade Agreement (pdf), known as CETA. The European Commission has said many times that it aims to build on the corporate sovereignty chapter in CETA when it comes to negotiating TTIP. It's not like we don't have half a clue who actually "owns" the Federal Reserve, but we just wanted to know, superficially, who the Fed itself claims it is owned by (and, additionally, how the agencies justifies its unchecked power). A short and direct explanation that cites the Fed's own website. It is widely agreed that Ukraine is facing harsh realities with few good options for the foreseeable future. However, another tragedy is being played out and that is Western media coverage. Does the mainstream media’s narrative make any sense? CrossTalking with Richard Sakwa, Jeffrey Tayler, and Alexander Mercouris. The problem with the country of Ukraine is that Russian speaking territories were attached to it during Soviet times - Crimea, and the Eastern sections. The discussion here begins by providing a post Cold War context, explaining that Russia was continually a target of the West, and that in 2008 planning to include Ukraine and Georgia in NATO had been aired. The Yemeni army, backed by popular committee forces, has destroyed four Saudi battle tanks after storming a base in Saudi Arabia’s southwestern city of Jizan. The Syrian army has launched a major offensive against the ISIL Takfiri terrorists who recently overran the city of Palmyra in central Homs province. Moscow believes that US-led airstrike campaign against Islamic State positions in Iraq and Syria have not done enough to impede the jihadists’ advance in the two Middle Eastern states. Monitors of the Special Monitoring Mission to Ukraine of the Organization for Security and Cooperation in Europe have confirmed that Russian representatives at the Joint Centre for Control and Co-ordination came under fire in Donbas on May 23. Russia and China should supply the Syrian Army with weapons to counter the proxy army of the west (ISIS). These BRICS countries should also provide troops in the fire support role, manning artillery and air assets. Compared to Hillary Clinton and array of Republican presidential aspirants looking more like a police lineup, Sanders seems almost saintly. Hold the cheers. On the one hand, no one challenging money-controlled US politics has a chance to win any top position in government - let alone the presidency. Sander's chance to become president is zero. On the other, ignore what he and other politicians say. Follow what they do, mainly their voting record on issues mattering most. Give him credit. Sanders is on the right side of many issues - including calling income inequality "the great moral issue of our time." At the same time, he talks the talk but often doesn't walk the walk. He supported sequestration cuts affecting public education, healthcare and housing, Head Start, disaster relief, federal employee wages and other populist programs. His voting record too often supports America's killing machine. He usually votes for annual defense authorizations providing funding for America's empire of bases, waging war on humanity and threatening its survival. He supports funding America's Gestapo - the Department of Homeland Security, a rogue agency by any standard. Earlier he supported maintaining a Cuban travel ban. He later voted to lift it. He opposed permanent normal trade relations with China. He was the only Senate member publicly supporting universal healthcare - then voted with Democrats for Obamacare. His no vote would have killed what Ralph Nader calls a "pay or die" system - a rationing scheme benefitting insurers, drug companies and large hospital chains. The problem with Sanders is his rhetoric belies his record. He votes 98% of the time with Senate Democrats. He'll support Hillary Clinton if she's nominated. "Maybe I shouldn't say this: I like Hillary Clinton," he said. So far, he refuses to attack her pro-war, pro-corporate favoritism agenda. When asked if he'll support the Democrat party nominee, he said: "Yes. I have in the past." My distrust has deepened of Seymour Hersh’s retelling of the Obama regime’s extra-judicial murder of Osama bin Laden by operating illegally inside a sovereign country. http://www.paulcraigroberts.org/2015/05/11/seymour-hersh-succumbs-disinformation-paul-craig-roberts/ That Hersh’s story, which is of very little inherent interest, received such a large amount of attention, is almost proof of orchestration in order to substantiate the Obama regime’s claim to have killed a person who had been dead for a decade. The US relationship to Russia must be viewed as being a machiavellian one. In this edition of the Questions For Corbett podcast, James answers your questions on how to snap people out of the military matrix, the Japanese zaibatsu, Israel and geopolitics, Mao's Great Famine and more. Also, James asks viewers their thoughts on Cuba-US relations, personal care products and staying positive amongst the negative news. OK instead of listing everyone here is my Idea about the 28 pages . I'm a pragmatist and a realist so im promoting what i think people will actually do. A long list is overwhelming. So we are gonna go one name a day. Everyone contact this person TODAY. Today's congress critter to pester to read the 28 is Dana Rohrabacher. You want Dana Rohrabacher to apply to read the 28 pages and you want here to co-sponsor HR14 the bipartisan bill that asks the president to declassify this information in the JIS report that uncovered foreign state sponsors for the 911 hijackers. Americans have a right to know who was assisting terrorists. One small correction to the video, Dana Rohrabacher is a he, not a she. Obsolete Science Behind ‘Safe’ GMO Claims? Despite the Food and Drug Administration’s approval of non-browning GMO fruits and vegetables, many remain unconvinced of their safety. All-natural activists are calling into question the techniques used by the government in evaluating produce, claiming that their methods are outdated and not at all equipped to test GMOs. Jeffrey Smith of The Institute for Responsible Technology explains to RT’s Ben Swann. If you have not already done so, you need to report on the recently declassified US Defence Intelligence Agency documents, from Aug 2012, that reveal the leading fighting groups in Syria are 'Salafists, the Muslim Brotherhood, and Al Qaeda in Iraq', and that these extremists are supported by "the West, Gulf Countries, and Turkey" - a direct quote. This proxy war situation is something the alternative media has reported on since late 2011. I implore you to visit this link (http://www.globalresearch.ca/newly-declassified-u-s-government-documents-the-west-supported-the-creation-of-isis/5451640) where you can see excerpts from the declassified material and consider that there would have been no rise of ISIS if not for this outside support. Furthermore, the proxy war explains the lack of any real action taken against ISIS today, with the phony air campaign doing little real damage (as opposed to the airstrikes we saw in Libya and the campaign in Yemen). You, as journalists, can stop the fighting in the Middle East if you start to seriously investigate, and report to the public, what is occurring from a geopolitical perspective. The evidence is all around. Those in power don't care how many are killed (and those that do care feel it would be 'politically unwise' to speak out). What we've seen thus far, in terms of ISIS running amok, is no accident and simply serves the interests of the political elite ruling multiple countries in the region (and outside the region). Take action and stop these heinous 'games'. Ps. The mainstream researchers and academics that have covered the conflict are not doing a good job and are part of the problem. I would be investigating why they have not given a straight story on the conflict, falling for the chemical weapons false flag attacks in Syria, whereas respected sections of the alternative media did not. Please SHARE the content of the link above with the mainstream media and also on your social media networks. WE can stop the wars, but the truth must be pushed widely so that no one is left in the dark. We know the US and its allies have been supporting ISIS against Syria, in order to break the Shiite Iran-Iraq-Syria-Hezbollah nexus. Drawing Iran into a Middle East conflict, to weaken or destabilise their country, is one of the goals. Kiev government is continuing offensive actions in Donbass. The Syrian army is engaged in a "complicated" offensive to liberate the Syrian city of Palmyra from the Islamic State terrorists who overran the city last week. United Nations talks to end the conflict in Yemen have been postponed just four days before they were due to begin. Brilliant! Also, note that the recent details about what was inside Osama Bin Laden's hide out, reported in the mainstream press, is more fiction designed to fool the public. Bin Laden died in late 2001 and any ISIS member, or supporter, who thinks 911 was the work of Al Qaeda is wrong (see videos below). Those following the wars in the Middle East, taking news from the alternative media, already knew the conflict was a result of direct western support, and support via proxies. The Dr. Zbig “Grand Chessboard” Brzezinski-style strategy has always been to lure Russia into another Afghanistan in Ukraine, leading to a collapse of the Russian economy with the Big Prize being a Western takeover of Russia’s oil and natural gas wealth, and by extension Central Asia’s. Ukrainians would be used as cannon fodder, as were Afghans since the 1980s Arab-Afghan jihad. Yet the Obama administration overplayed its hand, and realpolitik now spells out the deepening of the Russia-China strategic partnership across the entire Eurasian land mass; Eurasia as a prospective, massive commercial emporium stretching from Beijing to Berlin, or from Shanghai to St. Petersburg and beyond towards Rotterdam and Duisburg. Where is the US in all this? Nowhere; little by little, yet inexorably, BRICS members China – and in a smaller measure, Russia - have been no less than restructuring commerce and infrastructure all across Latin America. Top infrastructure projects in Latin America are all being financed by Chinese capital – except the Mariel port in Cuba, whose financing comes from Brazil’s BNDES and whose operation will be managed by Singaporean port operator PSA International Pte Ltd. Construction of the Nicaragua canal – bigger, wider and deeper than Panama’s - started last year by a Hong Kong firm, to be finished by 2019. Argentina, for its part, clinched a $4.7 billion Chinese deal for the construction of two hydroelectric dams in Patagonia. The only way the US could stop (or delay) this would be through initiating a financial collapse or war on the continent. Such ploys are being used in Africa. DIA Admits America and its allies fostered ISIS. The Defense Intelligence Agency 2012 now released. The video underlines the fact that the fighting in the Middle East is due to ongoing foreign intervention aimed at bringing about regime change in Syria. The WEST IS SUPPORTING AL QAEDA. On Reality Asserts Itself, Mr. Finkelstein describes the "necessity" of Israel to prove the destruction it is capable of wielding. Islamic State is known to be taking advantage of American-made weapons that were left behind by government forces. Neil Harvey looks at how it's spurring Washington into yet another arms injection into the restless Middle East. "An ex-Congressional candidate from Tennessee faces up to five years in prison for plotting to burn down an upstate New York mosque and use an assault rifle against anyone who tried to stop him, according to court documents. No date has been set for sentencing, a spokeswoman for the U.S. Attorney's Office in Knoxville said on Tuesday. Doggart was released on $30,000 bail." The terrorist here is not who most people in the west would assume it to be. The label is only being applied (wrongly) to those of a Muslim background. There is such a meme, or idea, known as the 'urban terrorist', that does indeed apply generally to people living in the suburbs or city. The clip above is great viewing. Keiser Report (E761): How Much Do They Steal? In this episode of the Keiser Report, Max Keiser and Stacy Herbert discuss the ‘if you ain’t cheating, you ain’t trying’ school of economics. ' In the second half, Max continues his interview with John Aziz (Twitter: @Azizonomics) about Keynesianism and what it could do for our sick economies. Turkish police have detained eight serving members of the army in the latest wave of arrests in a hugely controversial case over the interception last year of an alleged consignment of arms bound for Syria, reports said on Saturday. Arrest warrants were issued for 10 soldiers, eight of whom had been detained by Friday night, the official Anatolia news agency reported. They have been accused of membership of a terrorist group, impeding the work of the government and espionage, it said. They should now appear in court to decide whether to remand them in custody ahead of trial. Authenticated documents circulated on the internet claimed that the trucks, which were seized last year in January 2014, were Turkish National Intelligence Organisation (MIT) vehicles delivering weapons to Syrian opposition groups fighting President Bashar al-Assad. Turkey has vehemently denied aiding hardline rebels in Syria, such as the Islamic State group, although it wants to see Assad toppled. Russia’s foreign minister Sergei Lavrov said events in Macedonia were “unfolding against the background of the government’s refusal to join the policy of sanctions against Russia and the vigorous support Skopje gave to the Turkish Stream gas pipeline project”. Russia’s foreign ministry on Saturday followed Mr Lavrov’s comments with a statement citing Serbian media reports of the arrest of a Montenegrin citizen whom “assisted Kosovo-Albanian extremists” in Macedonia. An investigation by El Universal has found that between 2000 and 2012, the U.S. government had an agreement with Mexico’s Sinaloa drug cartel that allowed the organisation to smuggle billions of dollars of drugs in exchange for information on rival cartels. There have long been allegations that Guzman, considered the “world’s most powerful drug trafficker,” coordinates with American authorities. Hillary Clinton was personally emailed by Sidney Blumenthal two days after the terrorist attack in Benghazi, Libya with specific information tying the terrorist group Ansar al-Sharia to the consulate attack. Ms. Clinton read and responded to the email. The next day Secretary Clinton spoke at Andrews Air Force Base and claimed specifically that the attack was because of "an awful internet video that we had nothing to do with." We now know that Ms. Clinton knowingly lied thanks to secret emails that were released today. On September 11, Ansar al-Sharia carried out an attack on the U.S. consulate in Benghazi, Libya. Ambassador J. Chris Stevens was killed in the attack. Secretary Clinton was initially told that Ansar al-Sharia had taken credit for the attacks; however, she blamed an internet video slamming Muslims that night on MSNBC. The next day, September 12, she received an email saying the attack could have been because of an internet video. That was quickly debunked, however, the next day. 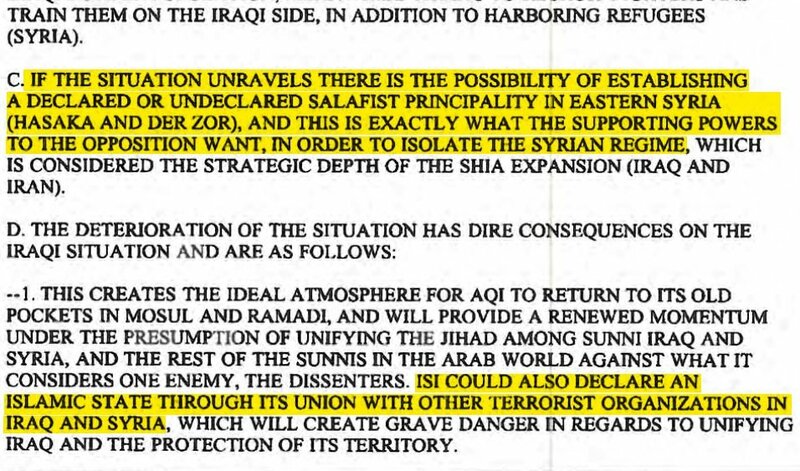 That day, September 13, Secretary Clinton was emailed by Sidney Blumenthal, who told her specifically that the attack had been linked to Ansar al-Sharia. Ms. Clinton responded the same day, September 13th, saying that information "should get around asap." Without question, she was now aware that the plan had been planned and carried out by a terrorist organization. However, the next day she and the White House specifically said that there was "no evidence" that the attack was pre-planned. In fact, Secretary Clinton specifically claimed that there was another reason for the attack: a YouTube video. In this episode of the Keiser Report Max Keiser and Stacy Herbert discuss the national economic patient with a diagnosis our central banks can’t understand and why it is the economy will never return to 'normal.' In the second half, Max interviews John Aziz (Twitter: @Azizonomics) about Keynesianism and what it could do for our sick economies. Trade and investment policies that favour a level of self sufficiency will increase GDP. Gutting industry and having a fianancial sector that 'makes money' via gambling will not. Desperate to counteract Seymour Hersh’s investigation into the Osama bin Laden raid, the CIA has released Osama’s reading list — after 4 years. You won’t believe what’s on the list. Beijing and Washington are not mere ships passing each other in the South China Sea – they are the two countries vying to play the commanding role in Asia. While China seeks to redress what it sees as violations of its sovereignty, Washington does have policy options, but are any of them effective? CrossTalking with Pepe Escobar, Zachary Keck and James Bradley. The problem with China's expansion in the South China Sea is that it is infringing on the territory of its neighbouring countries. The very fact that it is 'making facts on the ground' via its actions does not make it right, anymore than what the west has done in the past. Nevertheless, despite the Chinese stepping on regional toes, the US military presence, as a 'protector of trade routes', could still be replaced by regional powers, including the Chinese, so long as they restrain themselves from making territorial grabs. "Stephen Harper is the perfect Poster Boy for how free expression is tribalistically manipulated and exploited in the West. When the views being suppressed are ones amenable to those in power (e.g., cartoons mocking Islam), free speech is venerated; attempts to suppress those kinds of ideas show that “they have declared war on any country, like ourselves, that values freedom, openness and tolerance.” We get to celebrate ourselves as superior and progressive and victimized, and how good that feels. But when ideas are advocated that upset those in power (e.g. speech by Muslims critical of Western nations and their allies), the very same people acquiesce to, or expressly endorse, full-scale suppression. Thus can the Canadian Prime Minister pompously parade around as some sort of Guardian of Enlightenment Ideals only, three months later, to act like the classic tyrant." A damning admission of western support for extremists. This truth must be shared widely to stop the covert wars in the Middle East. At least one civilian has been killed and few residential buildings have been destroyed after Kiev forces’ shelling hit residential area in Donetsk. The main attack centered on northern Donetsk, where the previously contested airport is located, but many of shells landed on a residential area. An excellent (short 6min) video that thanks those fighting extremists in the Middle East. American economist Paul Craig Roberts talks to Bonnie Faulkner of Guns And Butter. Paul Craig Roberts is an American economist and a columnist for Creators Syndicate. He served as an Assistant Secretary of the Treasury in the Reagan Administration and was noted as a co-founder of Reaganomics. He is a former editor and columnist for the Wall Street Journal, Business Week, and Scripps Howard News Service. He has testified before congressional committees on 30 occasions on issues of economic policy. Deregulation, especially financial deregulation, undermined the US economy. And then, when the deregulated banks were set to fail, they were bailed out by the taxpayer. Losses were socialised, while the profits were privatised. A corrupt crony system that runs on rigged market practices, not the supposed real 'free trading' environment as establishment figures claim. In this episode of the Keiser Report, Max Keiser and Stacy Herbert discuss the demand for human rights for great apes as humans themselves agree to give up their own so that one bad guy might not enjoy them, too. In the second half, Max continues his interview with Harry Cole (Twitter: @MrHarryCole) about the EU referendum, the TTIP trade deal and Scottish independence. In a historic vote delegates of the American Institute of Architects (AIA) overwhelmingly voted down Resolution 15-6 which called for AIA to support a new investigation of the destruction of World Trade Center building 7 on September 11th 2001. The resolution, which was introduced by AIA member Dan Barnum FAIA, was voted down overwhelmingly by a vote of 3892 - 160 meaning 96% of the delegates voted to ignore the science, the facts, and the evidence which is today common knowledge about the destruction of WTC 7! That's right. 96% of voting AIA delegates voted with intentions and goals outside the realm of science and reason. Could it be that to 96% of AIA delegates two planes CAN symmetrically destroy three massive towers at [nearly] freefall speed through the path of most resistance? Can it be that to 96% of AIA voting delegates a 47-story state-of-the-art tower CAN disintegrate at freefall speed due to ordinary office fires? If this was really the case, would you trust these people to build the apartment building you live in or office building you work at? If politics were not involved and all the delegates understood the material presented by the Architects and Engineers for 911 Truth organisation, then 100% would have voted positively. Exposing the truth about this false flag attack is vital because it will end the war on terror. Those that voted 'no' are contributing to the continuation of the war. The EU has come up with a plan to battle immigration by launching a naval operation targeting people-smugglers in the Mediterranean. For more on this Lode Vanoost - a former deputy speaker of the Belgian Parliament joins RT. The Royal Navy has launched an investigation into whistleblower William McNeilly, who exposed horrid security lapses in UK’s Trident nuclear program. Congressman Dan Burton extracts answer from FDA representative, establishes that thimerosal mercury added to vaccines has never been tested for safety in humans. The issue is not the vaccines themselves but what has been added to them. Alex Jones talks with Infowars reporter Paul Joseph Watson about ISIS and their origins. An emotive but accurate summation in reference to admissions that the west has been supporting ISIS, training extremists to fight for regime change in Syria. We now face 'bots' - people who have bought into the ISIS propaganda - who are prepared to make attacks in the west. These pawns do not realise they are serving the interests of western powers and the Police State. We the people are now facing the consequences of our Government's ongoing intervention (covert war) in the Middle East. People knew in advance about the crimes of 9/11, and they profited from that knowledge. Those people are among us today, and our families and communities are at risk of future terrorist attacks and further criminal profiteering if we do not respond to the evidence. A well referenced and important article providing more evidence that 911 was an inside job from respected researcher Kevin Ryan. A civilian has reportedly been killed in a shelling attack in Donetsk in an apparent violation of the ceasefire. RT talked to Daniel McAdams, executive director of the Ron Paul Institute, who thinks Ukraine's government would not be escalating its operations without approval from the US. US operations against Russia, through Ukraine, continue. NATO – the North Atlantic Treaty Organization – has an identity problem of sorts. To have meaning, cohesion, purpose and reasons to be funded, this alliance needs enemies. On the back of the western-backed regime change in Ukraine, today Russia gives the alliance a reason to exist. Is this wise? CrossTalking with Andranik Migranyan, Brian Becker, and Michael O'Hanlon. In early February on my news blog, and on my Facebook wall, I explained to the public why Peter Greste and the other Al Jazeera journalists were arrested in Egypt. Months later on your radio program the truth is being exposed in an interview with one of the remaining Al Jazeera journalists, Mohamed Fahmy, who is trying to avoid further imprisonment. Fahmy, who has launched a hundred million dollar lawsuit against Al Jazeera, is, by this action, publicly 'spilling the beans' on an open secret - that Middle Eastern states, that include Saudi Arabia and Qatar, with the full knowledge and direct support of western intelligence services, are supporting extremists as tools for geopolitical policy. Fahmy pointed out that the Qatar-based Al Jazeera network is operating as a propaganda instrument, effectively aiding the false western narrative about the (proxy) war in Syria and the (western supported) rise of ISIS. This why the Egyptian military, who had just overthrown the extremist-supporting Morsi Government, targeted himself and Greste. Their arrest had nothing to do with their (fair and reasonable) reporting of the coup in Egypt and had everything to do with them simply being Al Jazeera journalists. As the interview with Fahmy proceeded, it became clear that the host, Tom Tilley, had no idea of the broader geopolitics behind what had happened in Egypt. Tilley outright questioned if Fahmy's characterisation was truthful. Such questioning in fact exposed how little Tilley understood and showed how inept the mainstream press has been when dealing with issues like western supported or sponsored wars of aggression. Determining whether Fahmy was being truthful is actually a simple matter because he was airing material already present in the public domain (see the link above and click on the Syria tag, plus Google 'Al Jazeera journalists resign' - which shows numbers of them quit over biased coverage of events occurring in Syria, Bahrain, Egypt etc). The problem faced by the Hack team is that mainstream networks obfuscate these paradigm-breaking stories, keeping the public in the dark, and thereby allow for the largely unquestioned continuation of the fighting in the Middle East. People need to understand that the present wars are not simply sectarian issues but are largely driven by State geopolitical strategy. Ask yourself why the Obama Administration is openly supporting 'moderate' fighters in Syria when it has been admitted that these groups ally with Al Nusra and ISIS? If the objective is simply to have regime change in Syria, regardless of the consequences to the civilian population, then such actions make perfect sense. If the Hack team is interested in stopping the fighting in the Middle East the best thing you can do is engage in follow up research on these matters. The Syria tag on my blog is one place to start. Saudi Arabia is said to be lobbying for the place of chairman at the Human Rights Council. That's yet to be officially confirmed, but rights groups are crying foul, saying it would be a cruel joke. In this episode of the Keiser Report, Max Keiser and Stacy Herbert discuss the 26 most terrifying words in the English language. They also discuss vigilante governments and bond vigilantes. In the second half, Max interviews Harry Cole (Twitter: @MrHarryCole) about the Conservative party victory in General Election 2015. They also discuss Scotland, the EU referendum and the TTIP trade deal. Last month Islamist insurgents including al Qaeda's wing in Syria, Nusra Front, captured the town of Jisr al-Shughour in Syria's Idlib province, edging closer to the government-held heartland of Latakia along the coast. In turn, Syrian President Bashar al-Assad said army setbacks were part of normal warfare. Battles have been raging around the hospital on the southwestern outskirts of Jisr al-Shughour, where army forces and allied fighters have been holed up since the extremists’ offensive began. Government forces have endured a series of setbacks on the battlefield and Islamist fighters have edged closer to Assad's stronghold in the coastal areas. Meanwhile, Saudi Arabia is actively supporting a hardline coalition of Islamist rebels against Bashar al-Assad’s regime that includes al-Qaeda’s affiliate in Syria. The Syrian Army needs support from the BRICS nations in order to defeat the western supported extremists. Ukrainian troops have set up field depots holding up to 2,000 tons of munitions along the line of engagement with the DPR. Moreover, DPR reconnaissance has reported movement of Uragan and Grad multiple rocket launch systems, infantry combat vehicles, self-propelled artillery units towards the engagement line, therefore Kiev’s side continues to scale up heavy weapons and munitions in the zone of conflict. Don’t be surprised if you’ve never heard anyone question the official story of 9/11, viz. that three steel structures imploded into their own footprints at freefall speed, all falling symmetrically and perfectly, mimicking a controlled demolition that we’ve seen so many times. How was it that WTC 7 likewise fell perfectly when it wasn’t hit by anything but collapsed via fire alone? These questions were asked by Richard Gage and AE911Truth: 2219 architects, engineers, structural engineers, physicists, metallurgists, demolitions experts, just to name a few. All with significant pedigrees and provenance. And while they never reach or seek to reach any conclusion as to who was behind this horror, who benefited and the like, never refers to inside job -- they merely asked the question how could this have happened as National Institute of Standards and Technology (NIST) suggested. And what was the most critical of this event is that mainstream media and a respected institution such as C-SPAN dared and deigned to invite Mr. Gage to speak. There was not the obligatory lip service to the dread conspiracy theory. Remember, be a conspiracy analyst, not theorist. In my almost 13 years of obsessive study as to that horrible day, this aspect of the official story is but a part of the endless questions that have been raised and heretofore unanswered. I will never apologize to or ask permission to inquire as to what happened on that day. Five specific events (North Tower, South Tower, Shanksville, Pentagon – and Building 7) occurred that day and as is usually the case the American people trusted their government and media to ask every pertinent question and only give it the coast’s clear when all valid inquiry was made. The Ted Baxter media never cared or care about the truth. They don’t want to make waves or ruffle feathers. Enter citizen journalism and the like. Never be afraid to ask questions. Never apologize for your skepticism and believe nothing until it’s officially denied. Lionel, the ex-prosecutor, points out that 911 completely changed his world views. It changed his life, and allowed him to realise that we live with a highly corrupted Government and Media. Now, in a rare breaking of ranks, a top industry consultant is discrediting that story—and in so doing providing a window into the shadowy world of corporate advocacy and its use of front groups that aren’t what they appear. It was states such as California, Maine and Washington—as opposed to the EPA—that took action to curb the use of flame retardants. Virtually all Americans are exposed to the chemicals, which float as dust particles from seat cushions in a typical home. Yet scientific research has linked some of these chemicals to health problems such as diabetes, IQ deficits, fertility problems and cancer. Some scientists have also questioned whether flame retardants provide any significant benefit in protecting people from fire.